Hello everyone! 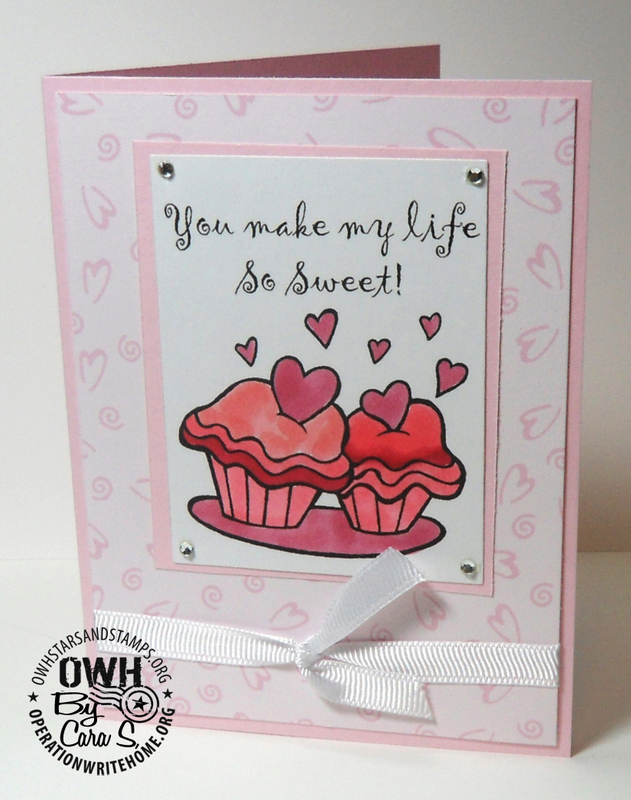 If you need a break from the craziness of a busy holiday season grab a cup of your favorite beverage and take a look at these beautiful cards made by Cara, this week’s featured cardmaker. Cara blogs over at Crafting Adventures where you will find more of her fabulous work, so extend your break time and hop over when you’re through here. You can of course leave a hello and a comment for her here at the end of this post too. Since I was a kid…I have a couple of stamps I have had since about age 10. I really got into it though about 10 years ago. Ribbon! I am a self confessed ribbon addict! Next to that, I don’t know how I survived before my Scotch ATG and Copics. All of them…I go through different moods with the seasons. I love your kitty and flower cards. Two of my favorite subjects. I love my copics too, it's hard for me to make a card without coloring something. Love that Birthday and kitty cards. Thanks for sharing your talents! Happy Holidays! Cara – your cards are absolutely beautiful! I enjoyed learning about you – and that there was a fellow OWH'er in Phoenix (I am in Peoria). Thanks for sharing your beautiful work. Nice to meet you Cara! I enjoyed seeing your cards and reading about you today. I'm in Arizona also but farther away than Ronni 🙂 Wishing you a Merry Christmas! Beautiful, cara! I love that birthday card! Off to check out your blog! Great cards, Cara! 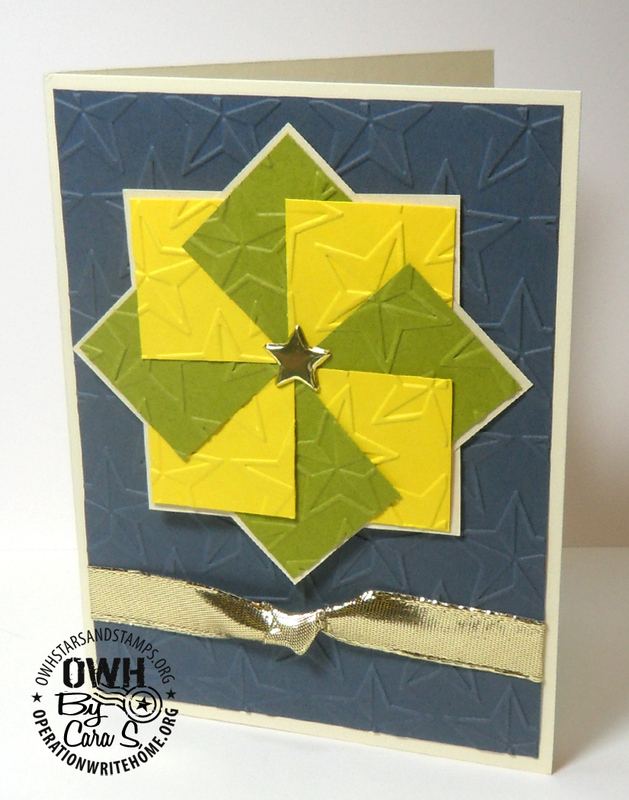 I really like your use of embossing folders and LOVE the "pinwheel" design that you embossed. That is a great effect! Thanks for sharing your cards. 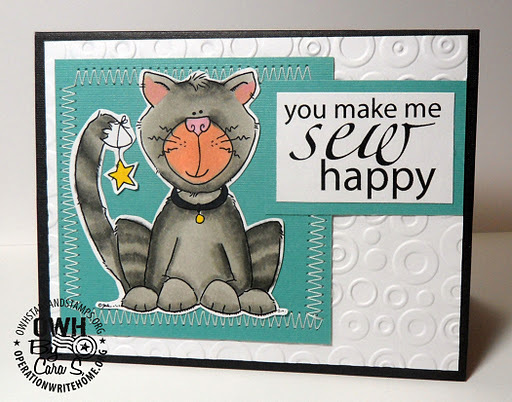 That cat card is sew cute! 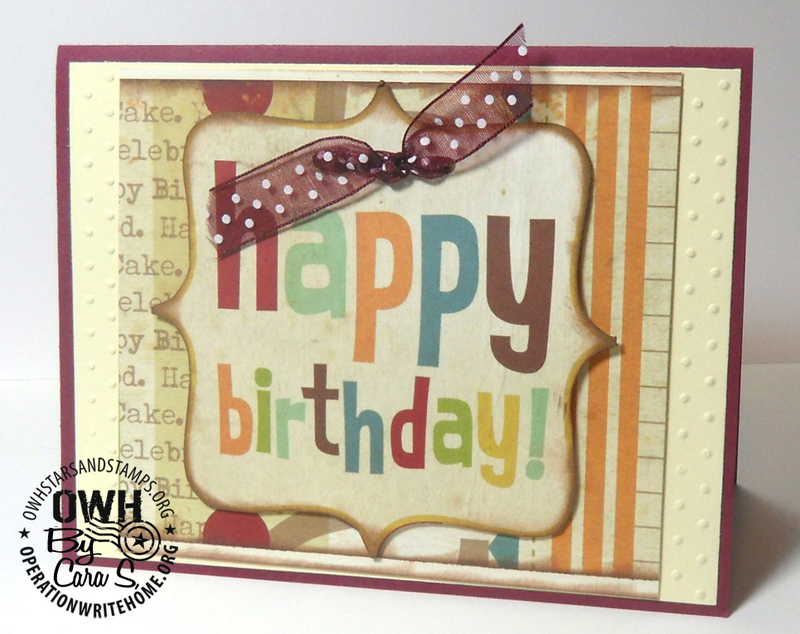 Cara, these cards are all so cheerful and bright it's hard to pick a favorite! 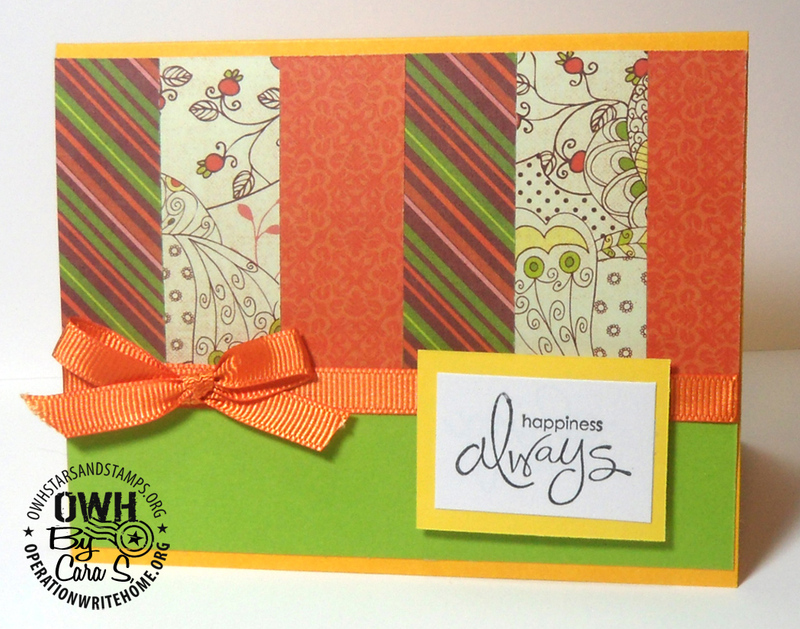 The "Happiness Always" particularly draws my attention because I like to make full use of nicer papers and it's a perfect way to nicely use scraps. I'm going to add it to my "to be cased" file. Thanks for letting me share your cards with everyone this week. Happy Holidays! Such pretty cards. The coloring is fabulous! Thank you for sharing with us! Love your cards especially the kitty ! Thank you for sharing! Cara, I love your cat card and your flower card is my favorite. How cute. Thanks for sharing and a very Merry Christmas to you! 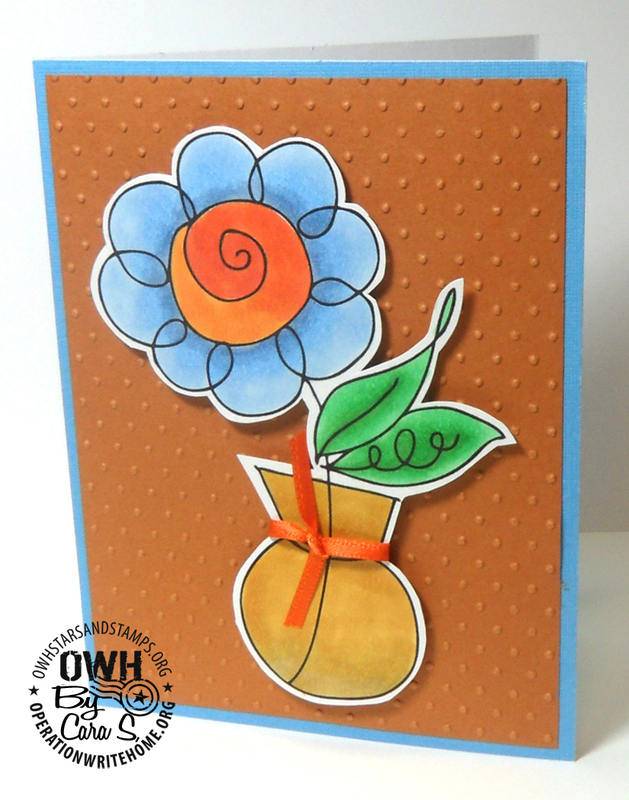 Cara, I love each one of your cards so much I can't choose a fave–but I love how you tied the tiny ribbon around the flower vase! Thanks for sharing all these creations!